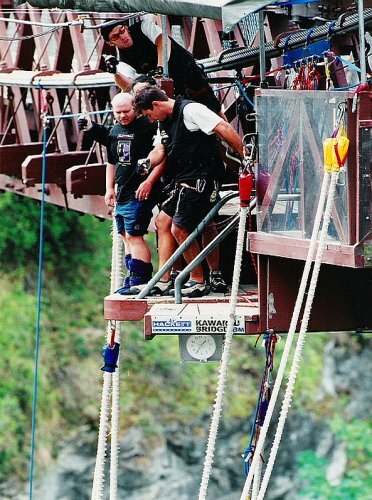 Bungy jumping, Kawarau Bridge, Queenstown. 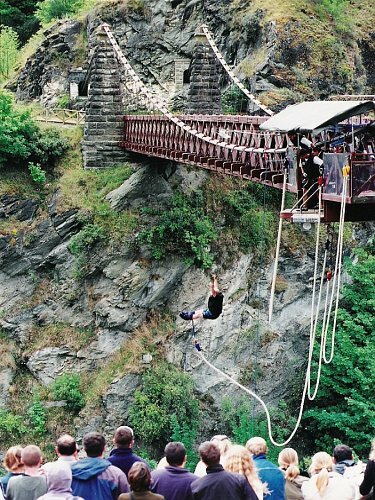 Kawarau Bridge Bungy Jump, Queenstown. 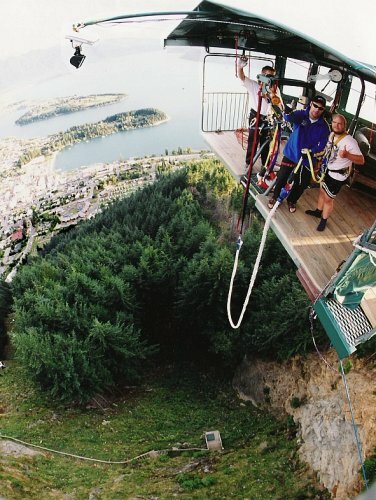 Nevis Highwire Bungy, Queenstown. 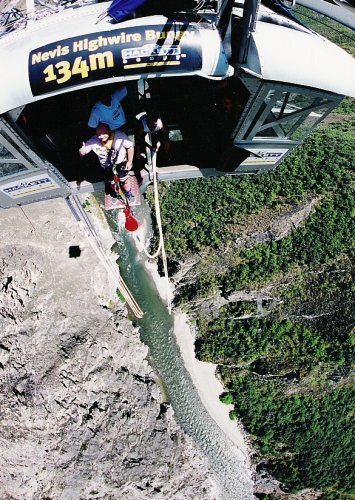 134 metres. 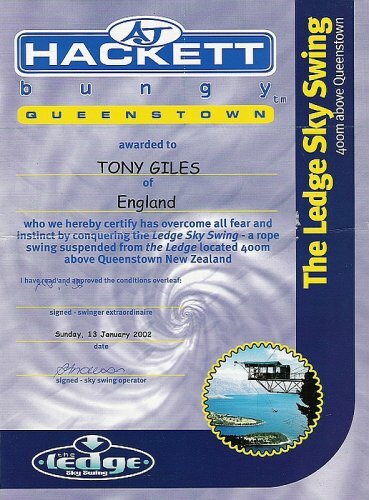 Certificate of completion: The Ledge Sky Swing. 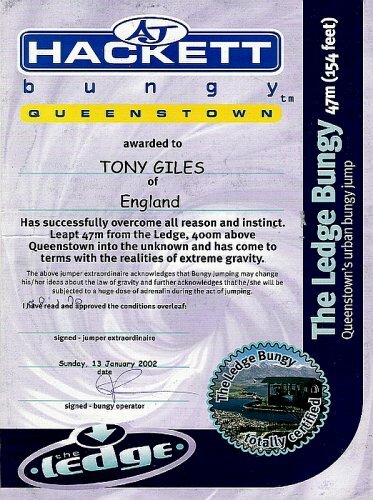 Certificate of completion: The Ledge Bungy. 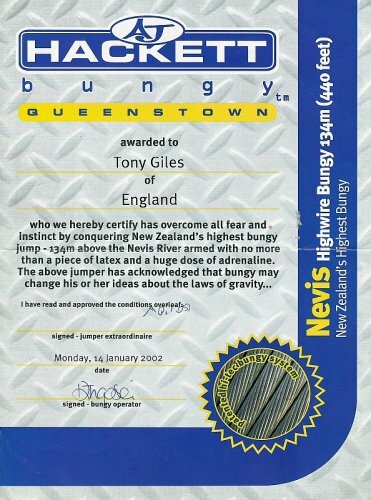 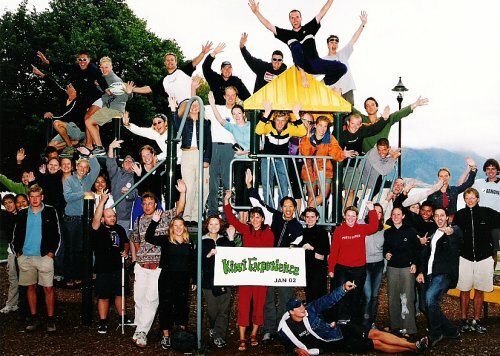 Certificate of completion: Nevis Highwire Bungy. 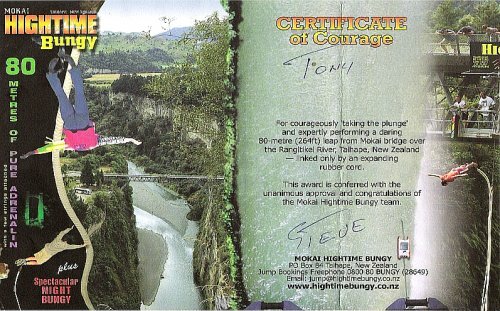 Certificate of Courage: Mokai Hightime Bungy, Mokai Bridge. 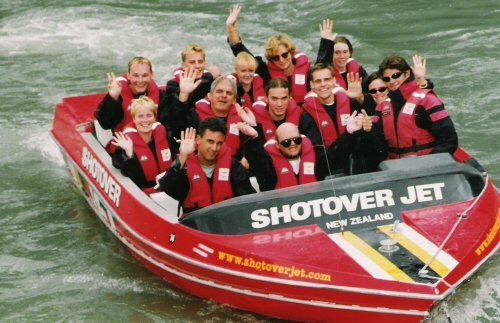 Me in a Shotover Jet in Queenstown.